Euro is moving upwards, slowly but steadily. In my opinion, the bulls may face a serious resistance from the level of 61.8%, near which there are several more fibo-levels and the 2.618 line from the fibo-channel, which make this area even more important. If Euro rebounds from these levels, the pair may make a local reverse, at least. 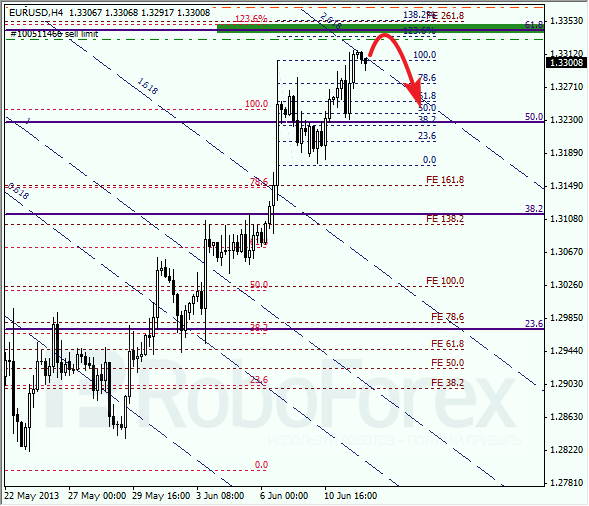 At the H1 chart, the market is one step away from the target area. 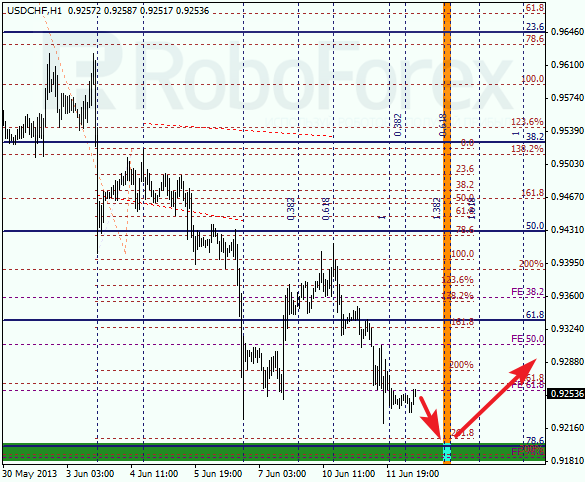 A little bit below the level of 61.8%, I placed a limit sell order with the stop a bit above the same level. According to the analysis of the temporary fibo-zones, predicted target area may be reached during the next several hours. Yesterday Franc broke a local minimum, just as we expected. The next target for the bears will be the level of 78.6%. If the pair rebounds from the level, Franc will make a reverse and start a new ascending movement. 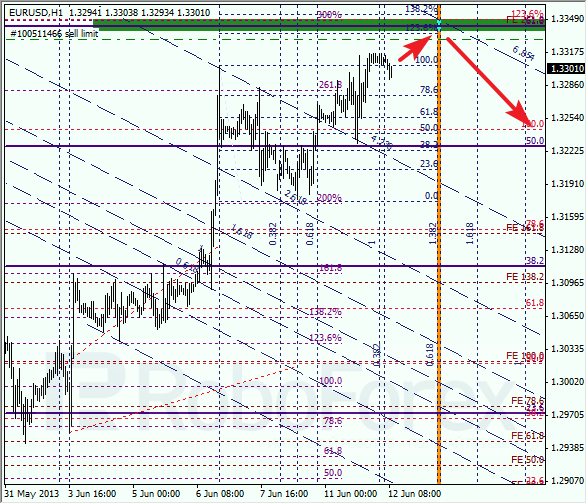 At the H1 chart, we can see that the market is just several tens of pips away from the target area. 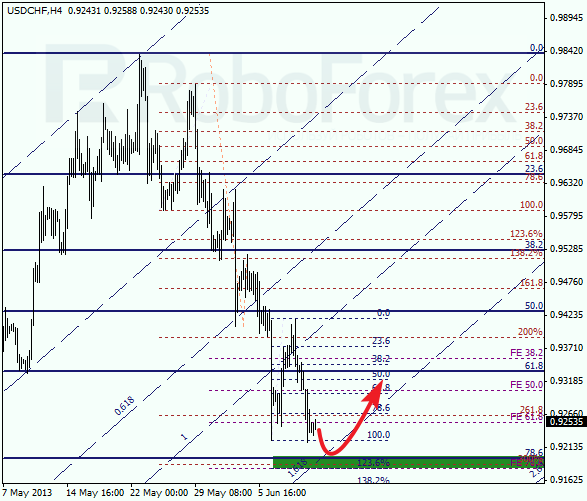 According to the analysis of the temporary fibo-zones, the price may rebound from the level of 78.6% during the day. If it happens, I’m planning to open some buy orders.